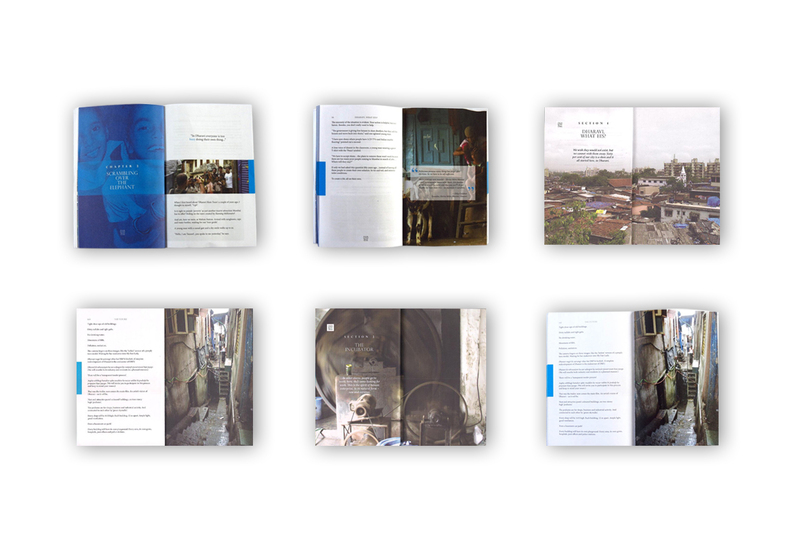 When Rashmi Bansal invited Studio ABD to design the layout for her latest book on Dharavi, we were very excited simply because of the fascinating subject and author. 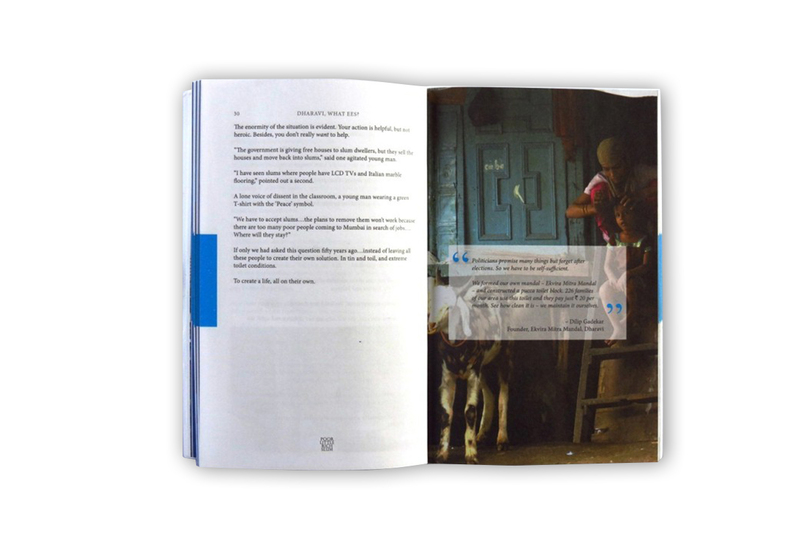 We wanted to celebrate various unique facets of Dharavi in this book, the contrast between the sky and land, and between hope and reality. 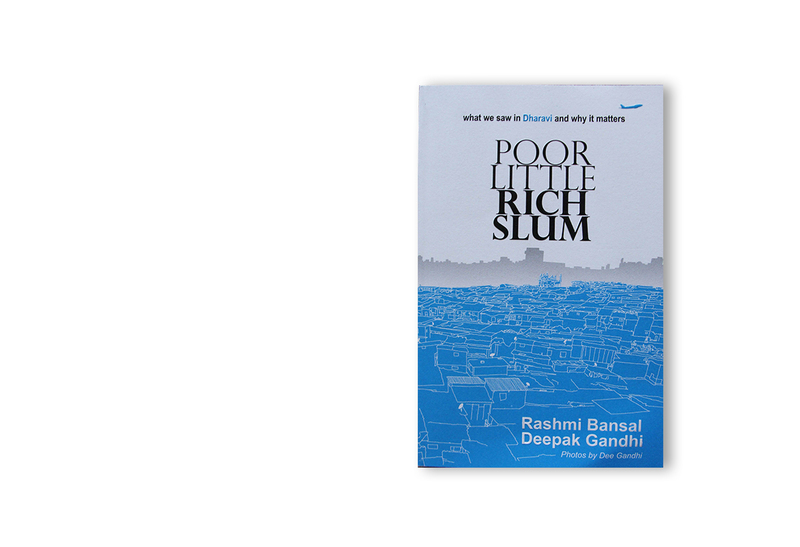 The azure color came from plastic sheets kept on the rooftops, and the illustrated style captures the texture of Dharavi with modernity. The airplane flying depicts the dichotomy of life at Dharavi, and also tells about aspiration of the inhabitants of the area. Each chapters starts with kids images, as they hope to be the real agents of change at this fascinating place.